Tax&Duty Buyers are responsible for Duty/Taxes, If you have any questions,please contact us after payment. Hard Disk is necessary for video record,1TB Hard disk can continuouse record about 20days video footage. When the Hard disk is full,you can set it to overwrite the old video footage or stop recording. Super easy installation and configurations. 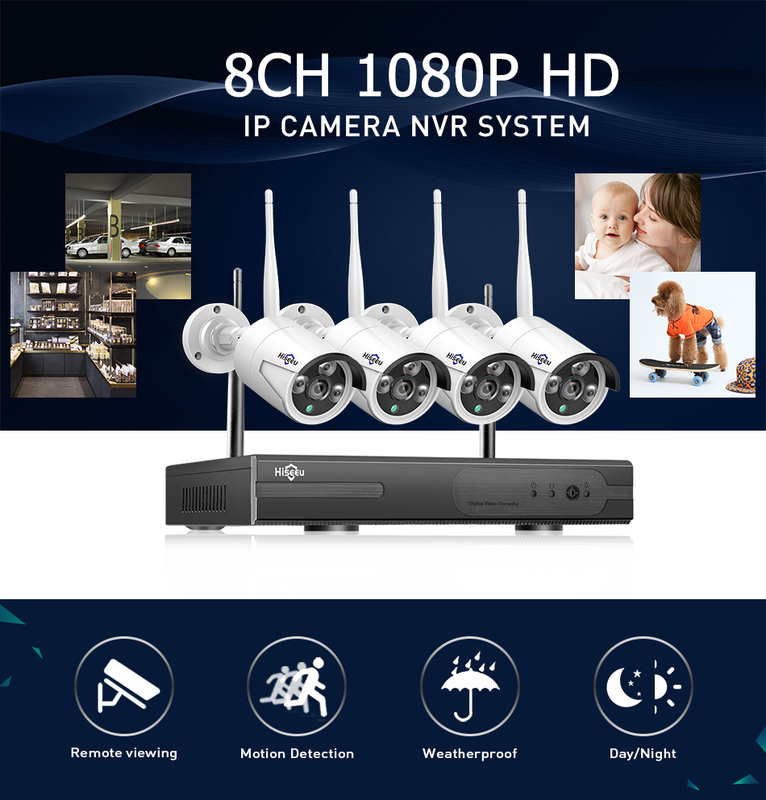 Real plug and play, no need of any professional skills,you can totally do it yourself effortlessly and build your own surveillance system. When you go outside,you needn\'t to worry about your property security. 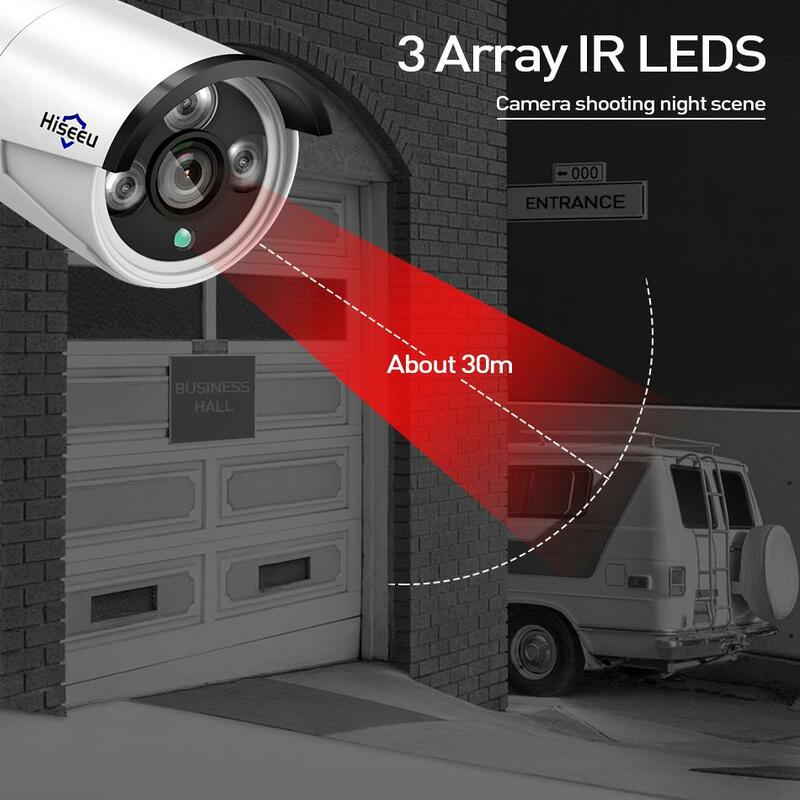 By using the Hiseeu Wireless CCTV System ,you can remote view live video simultaneously at anytime, anywhere with wifi/4G on Smart Phone,Pad and PC. You can download the Free APP "IP PRO 3" or "EseeCloud" from Google Play/ APP Store,which is easy to been setup in seconds. 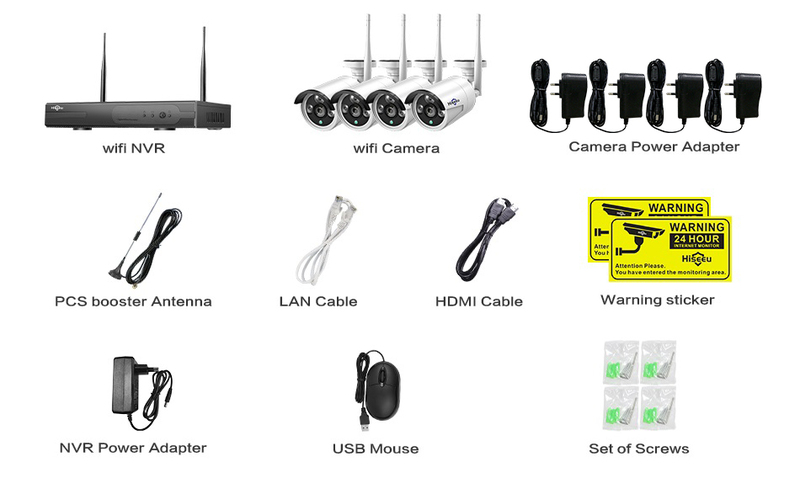 If you want remote view Surveillance Camera System on PC or laptop,you can download the "EseeCloud" software. 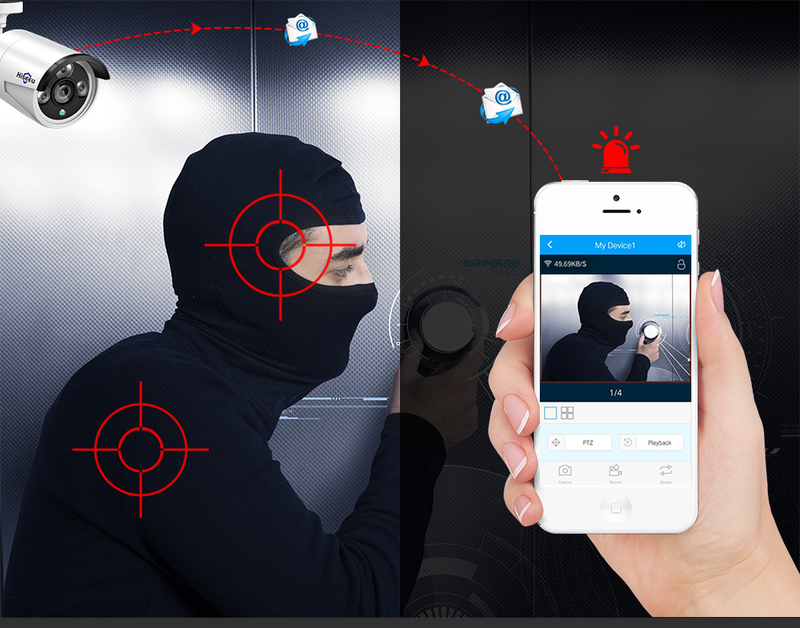 By setting multi motion detection area, instant alert email will be pushed to you once the the abnormal cativites is detected by the camera.You can get information in the video area anywhere and anytime.It\'s never late to take defensive measures in advance. 4.Tighten the nut to fix the angel. 1.Is the maximum channel only 4? 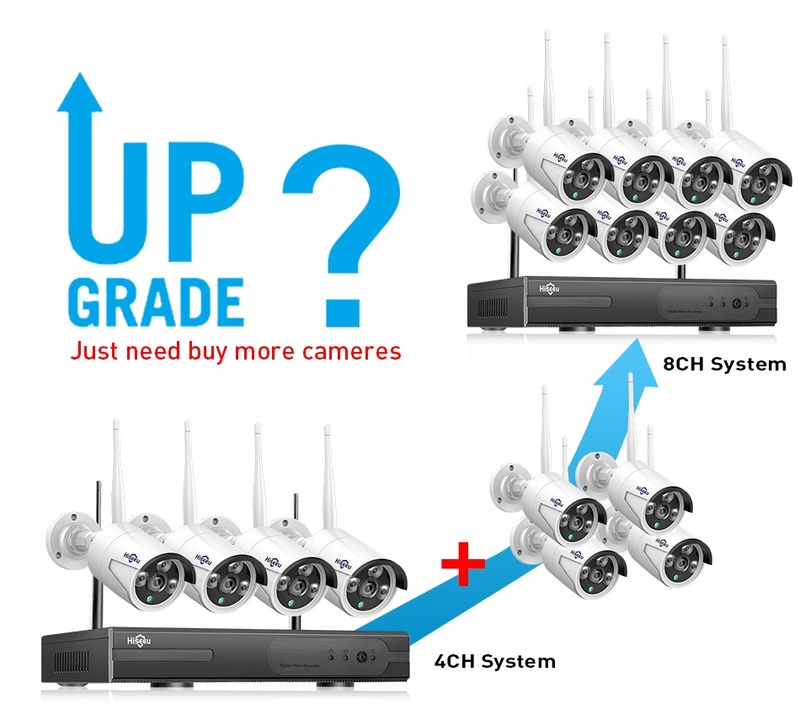 Could i add on more cameras to the Hiseeu cctv system? Where can i buy the cameras? 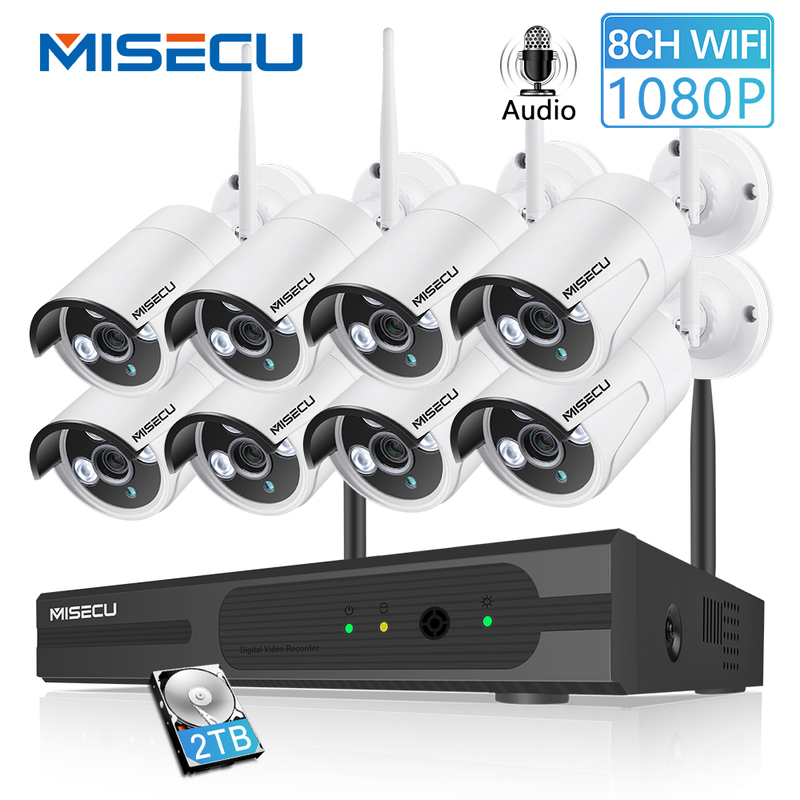 2.How much time of video can be recordered with this security system with 1TB hdd? 3TB Hard Disk: Can record about 60days. 3.When the HDD is full,do i need to delet the recording? No need, if HDD is full, the new recordings will automatically overwrite the prior recordings. 4.Does the NVR support USB hard disk? No,The NVR support SATA 3.5\'\' Hard Disk, the hard disk connection cable is inside the NVR.If you buy the hard disk from our store,we will install it for you before shipping. 5.What\'s the view angle of the camera? Does it have zoom function? It\'s about 83degree,No zoom function. 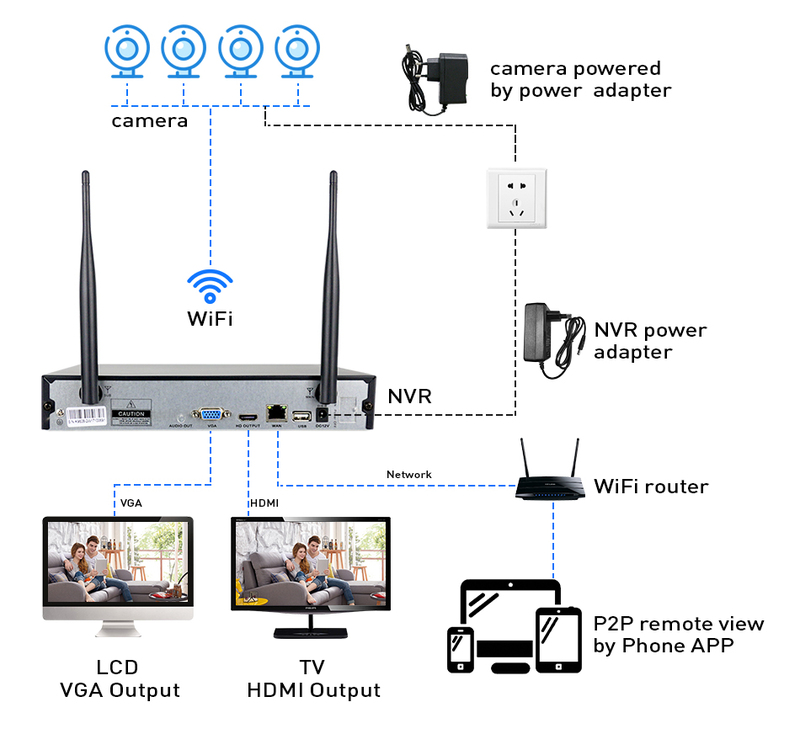 6.Can some cameras connect to NVR via wifi,some via LAN Cable? 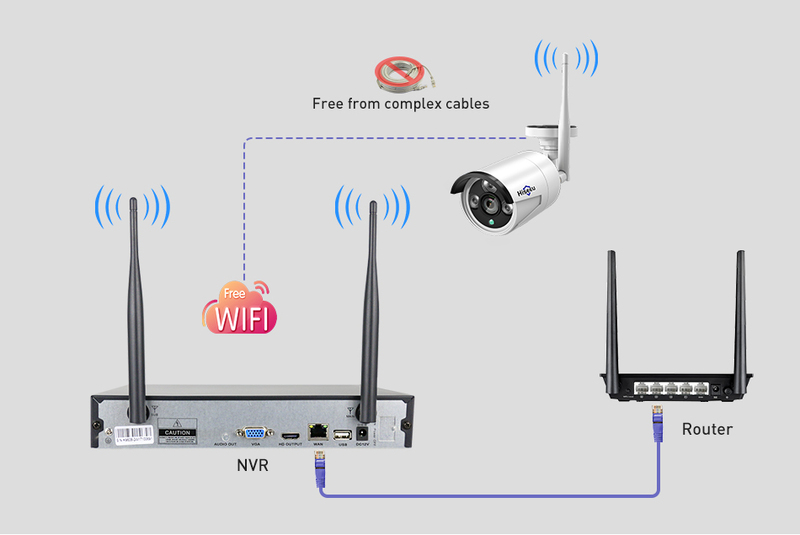 Yes,the connection between NVR and camera support both wifi and LAN cable connection,if you want place the camera far away from the NVR or the wifi signal is weak,we recommend connecting by LAN cable. 7.What\'s the working distance between the cameras and NVR? 8. What\'s the working temperature of the camera? 9.Camer power through network or the power adapter? Camera works through the 12V/1A power adapter, the NVR box is 12V/2A. DO NOT mix the power supply of NVR and camera. 10.Can i remote view the video on my pc and smartphone? 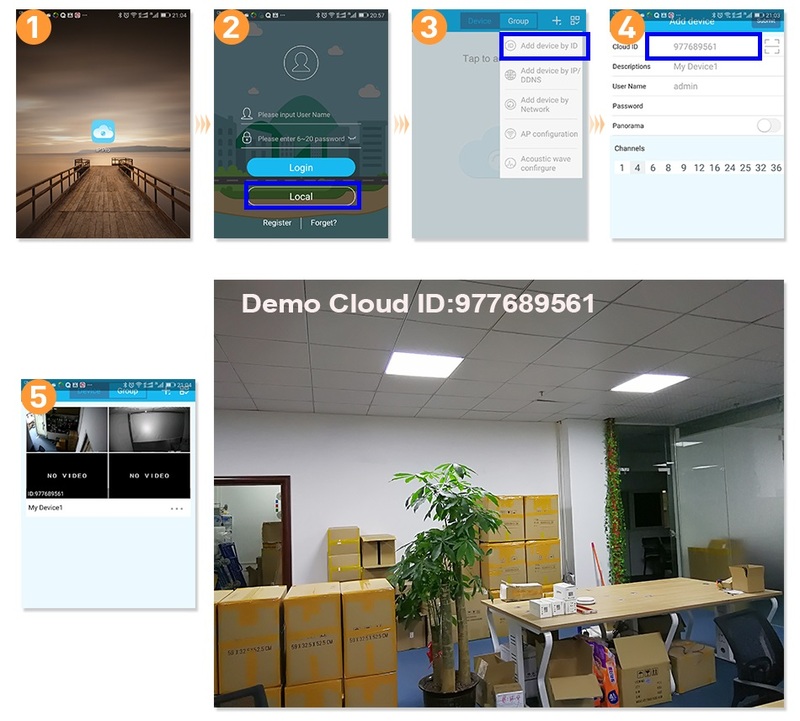 Yes, you can easy to get live streaming or playback videos via free IP Pro3 or EseeCloud APP on iOS & Android devices, through free EseeCloud Client software on Windows or Mac,or via major browsers like Internet Explorer. 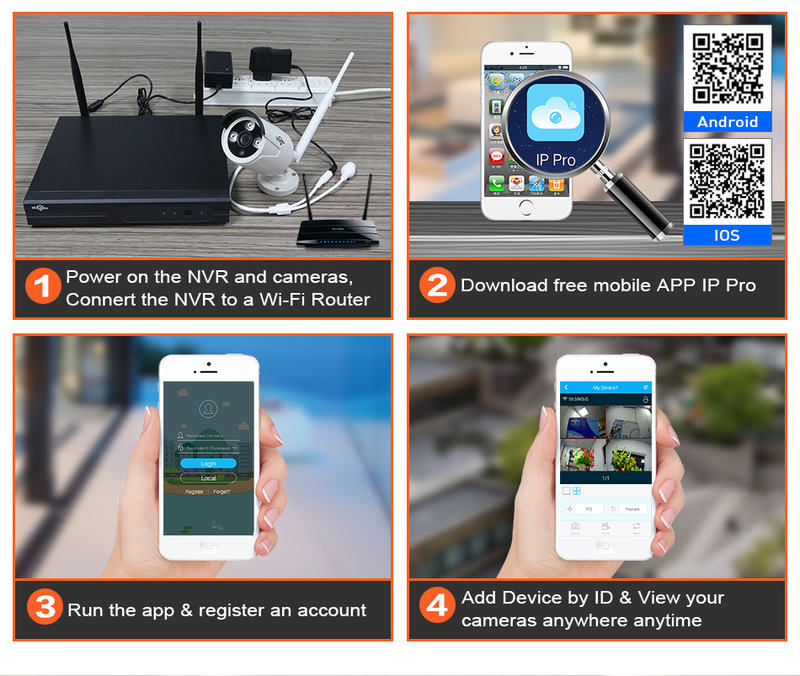 11.How do i know the NVR box is working or not? a. 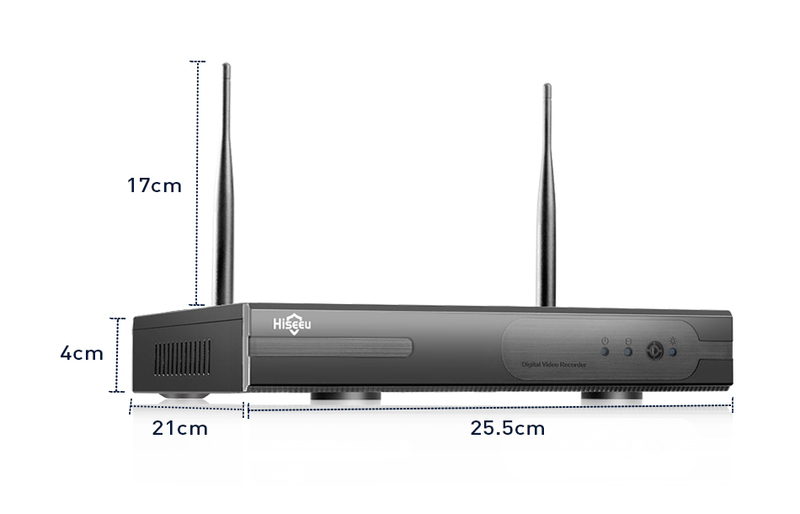 If the system without HDD,there are 2pcs lights in the front of the NVR box,the left one is stable,the other one is flasing,that means the NVR is working. b.If the HDD is in the NVR box,there are 3 lights in the front of the NVR.The left one is stable,the left lights are flashing,NVR is woking. 12.Is there any video of how to add new camera to the NVR? You can check our online demo. More questions,pls contact with our customer service in aliexpress,we will reply you within 24 hours on business days. 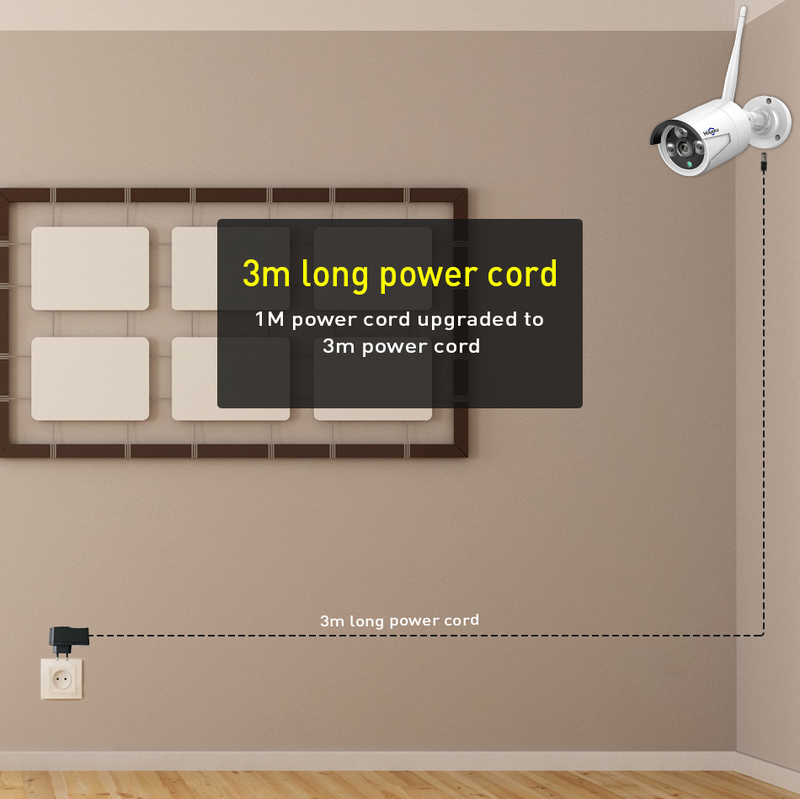 To enhance the wifi signal, you may like the Hiseeu WiFi Range Extender for the Hiseeu Wireless CCTV System. 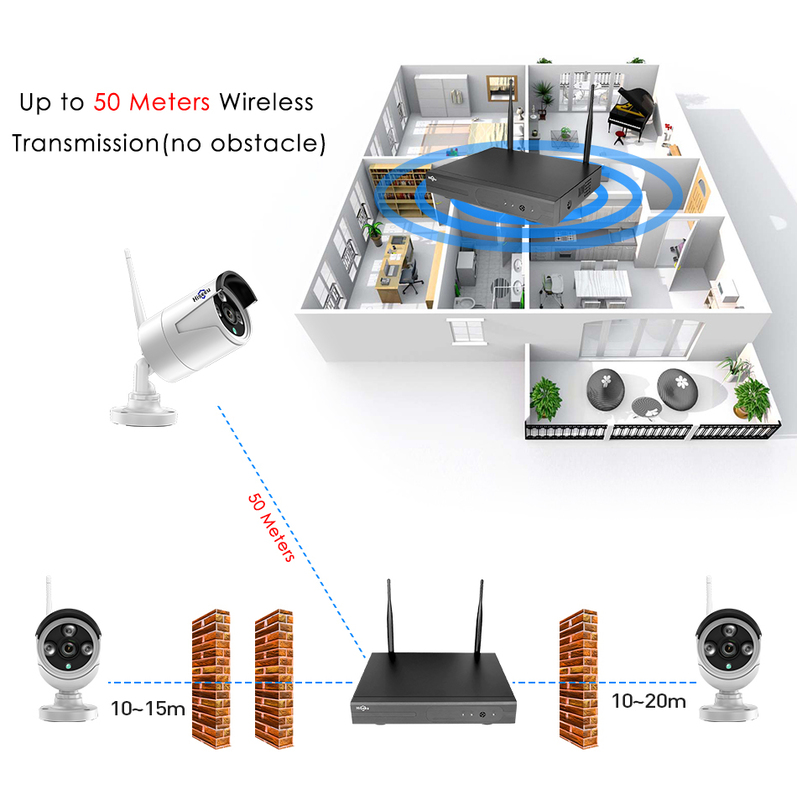 You may like the Hiseeu WiFi Range Extender for the Hiseeu Wireless CCTV System.